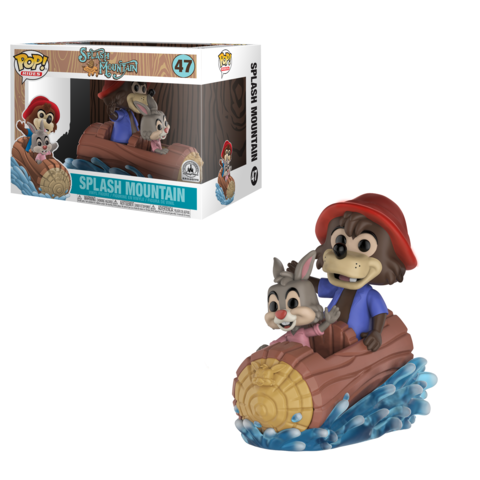 Upcoming Disney Parks Exclusive Splash Mountain Pop! Ride featuring Brer Rabbit and Brer Bear Announced! The newest Disney Parks Exclusive is on its way to Walt Disney World and Disneyland. The new Disney Parks Exclusive Splash Mountain Pop! Ride featuring Brer Rabbit and Brer Bear will be released on Aug. 25 at Disneyland and Walt Disney World. The new Pop will be available at Disneyland’s WonderGround Gallery in Downtown Disney, Disneyana on Main Street and Pooh’s Corner in Critter Country in Disneyland. At Walt Disney World, the new Pop will be available at Pin Traders at Disney Springs and Frontier Trading Post in Magic Kingdom. Also, as with the last few Disney Parks Exclusives, look for the new Pop! Ride to also be released online at ShopDisney.com. Next articleDisney Twenty-Three Celebrates 90 Years of Mickey Mouse!